Home / County Politics, News / Shock as KALONZO publicly confesses to stealing Embakasi South MP JULIUS MAWATHE’s money-DCI and DPP please! Shock as KALONZO publicly confesses to stealing Embakasi South MP JULIUS MAWATHE’s money-DCI and DPP please! 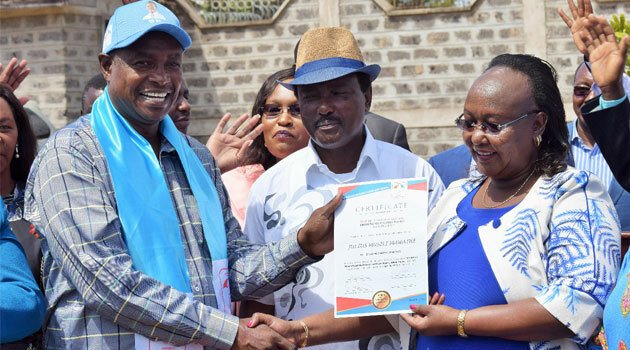 Monday April 15, 2019-Wiper Party Leader, Kalonzo Musyoka, has disclosed that he took some money that was supposed to be handed to a lawmaker. The former Vice President made the revelation during a presser held at Wiper's offices on Thursday. The Wiper leader explained that someone approached him with Ksh 200,000 on April 5 as Embakasi South constituents were heading to the polls. The money was meant to be given to Julius Mawathe who was contesting the seat on a Wiper ticket. But he stated that he decided to keep the money since he could not locate Mawathe. “Na mimi kwa sababu hiyo siku Mawathe alikuwa ana randa randa kila polling station, nikaenda nikanunua mbegu (Mawathe was up and down at the polling stations, so I decided to use the money to buy seeds)," he explained.